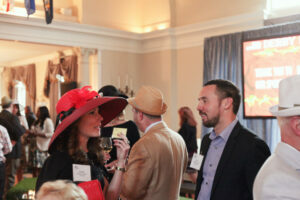 Kentucky Derby Party for Corporate Event Planners! 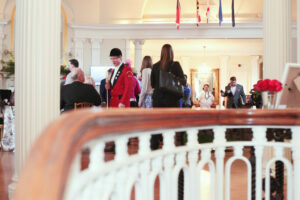 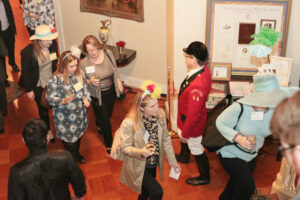 MTG and The Congressional Club hosted the MPI Potomac Chapter’s legendary Derby Party, sponsored by the Louisville Convention and Visitors Bureau. 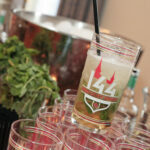 Over 200 corporate event planners descended on the historic Clubhouse for an evening of horse races and mint juleps. 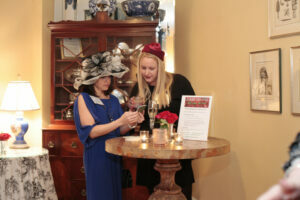 The First Floor was decorated with. 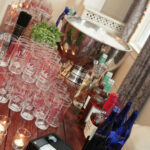 . . what else? 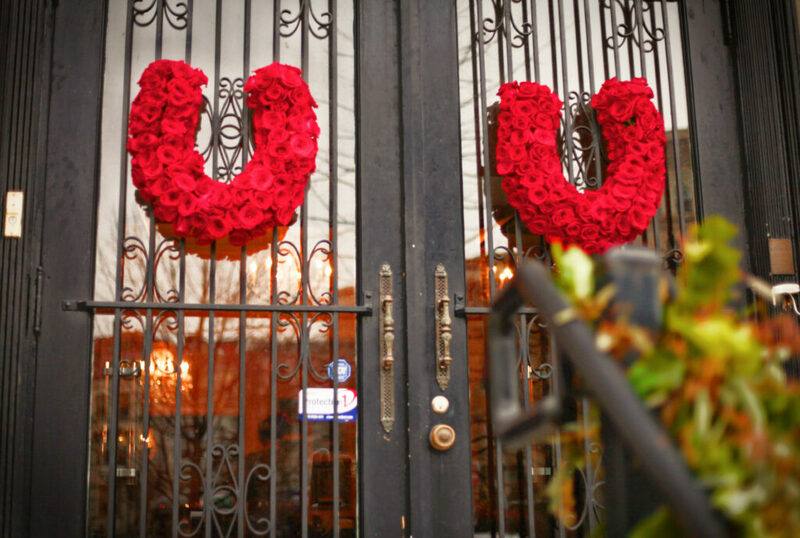 Red roses, of course! 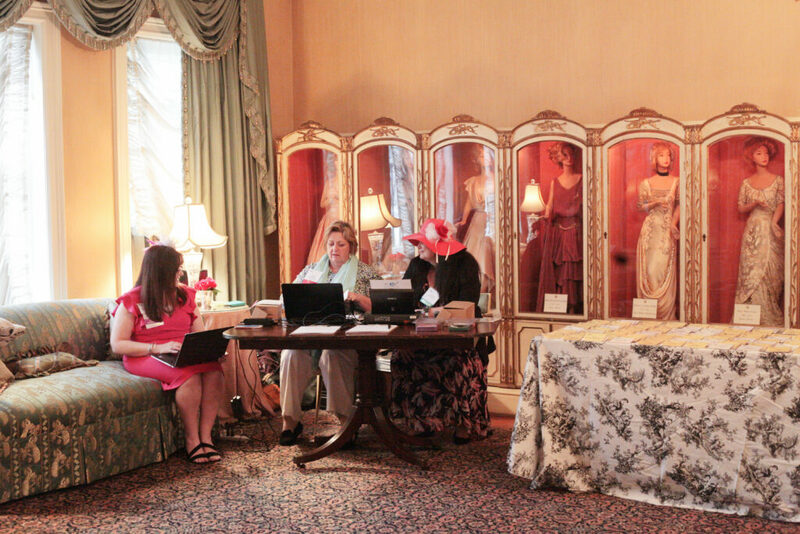 With check-in located in The First Ladies Gown room, guests picked up their tickets amid charming replicas of every First Lady’s inaugural dress since Mary Todd Lincoln’s. 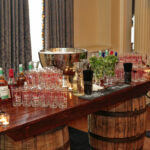 And what would a Derby Party be without Kentucky Bourbon? 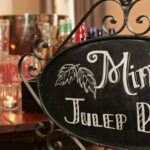 Purple Onion designed a fun and very popular make-your-own mint julep bar, with authentic mint julep mix flown in directly from Louisville. 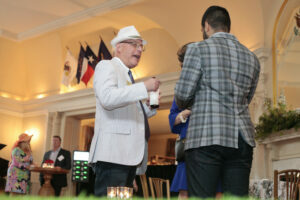 MTG and Purple Onion used the evening’s menu as a way to showcase the southern cuisine of Kentucky while, at the same time, celebrating the legacy of the Congressional Club. 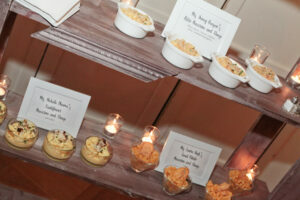 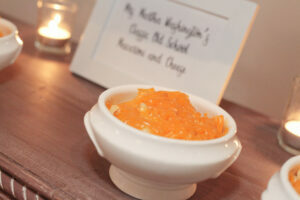 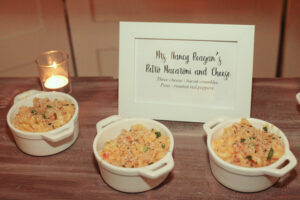 Guests enjoyed a mac and cheese bar, the classic southern staple, but with a First Lady twist. 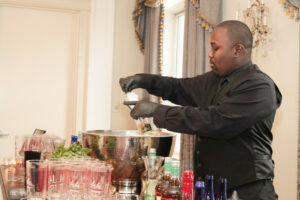 Three different versions from three different First Ladies, Martha Washington, Nancy Reagan, Laura Bush, and Michelle Obama, paid homage to the Club’s role in honoring Washington D.C.’s culinary traditions. 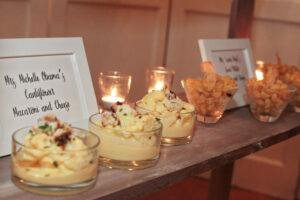 Did you know that Michelle Obama loved a low-carb version made with cauliflower instead of pasta? 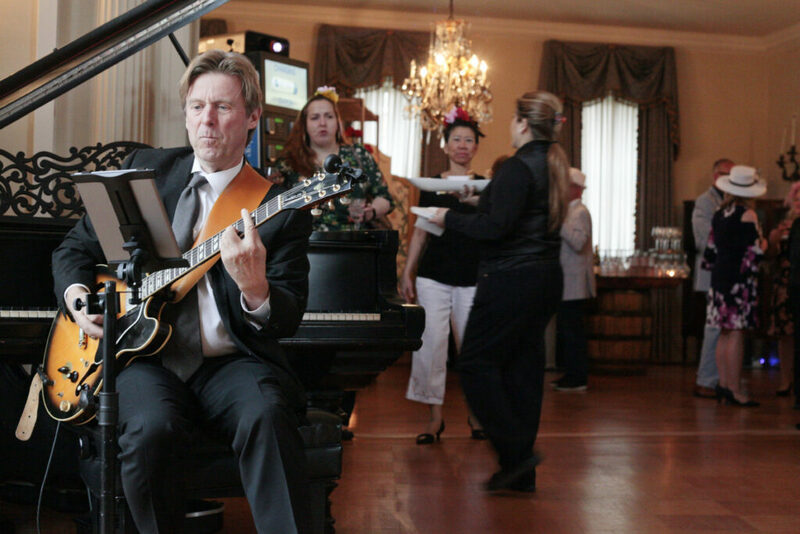 And finally, a party without entertainment? 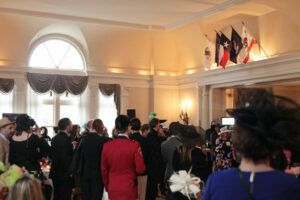 Not in “My Old Kentucky Home”! 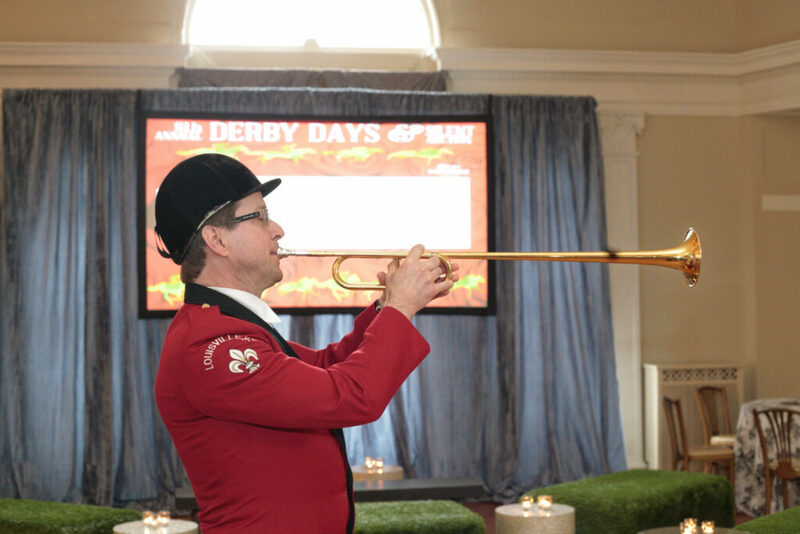 The official Churchill Downs bugler welcomed guests with a “Call to Post”, courtesy of the Louisville Convention and Visitors Bureau. 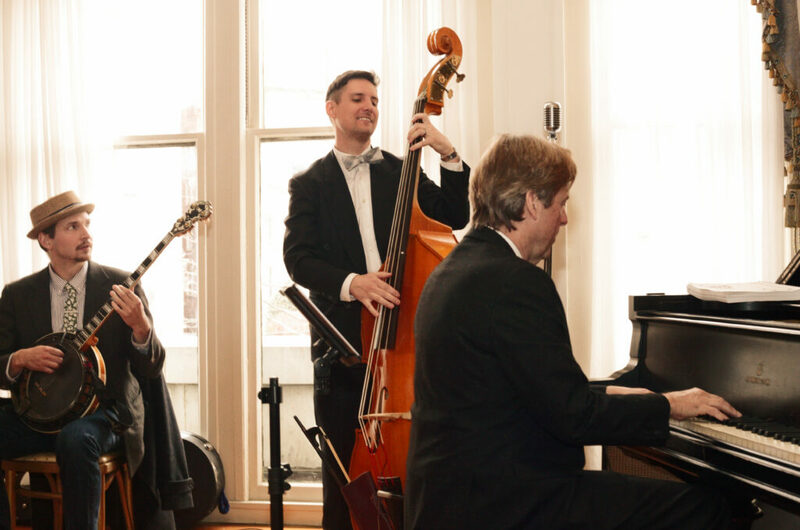 A trio from Ray Blake Music entertained the crowd, the pianist tinkling the keys on the Club’s original 1914 Steinway piano. 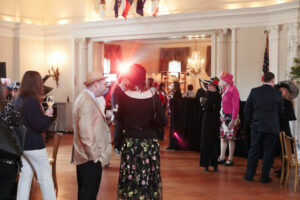 The Congressional Club is perfect for reception style parties, like our Kentucky Derby Party. 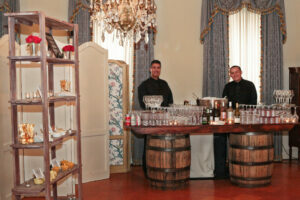 Bars and food stations can be located on both floors; guests are free to mingle and wander the delightful rooms while in enjoying the entertainment and refreshments. 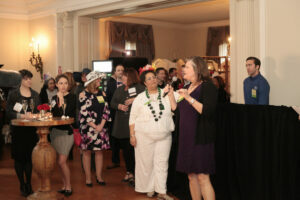 And networking seems so much more enjoyable in the timeless beauty and quiet history of the Congressional Club.